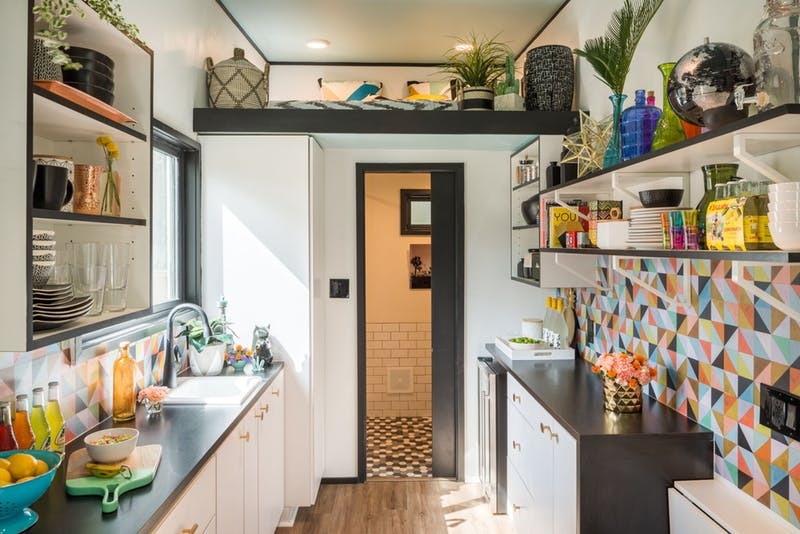 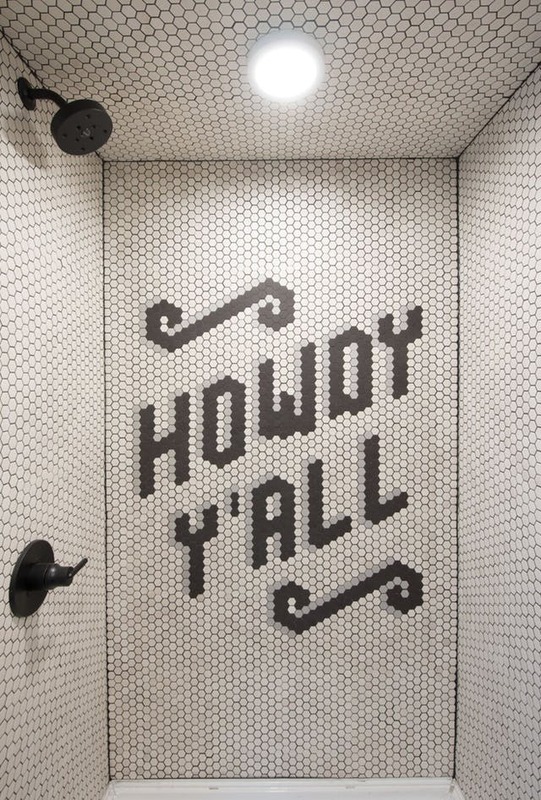 This eclectic tiny house on wheels is the creation of San Antonia-based designer, Galeana Younger. 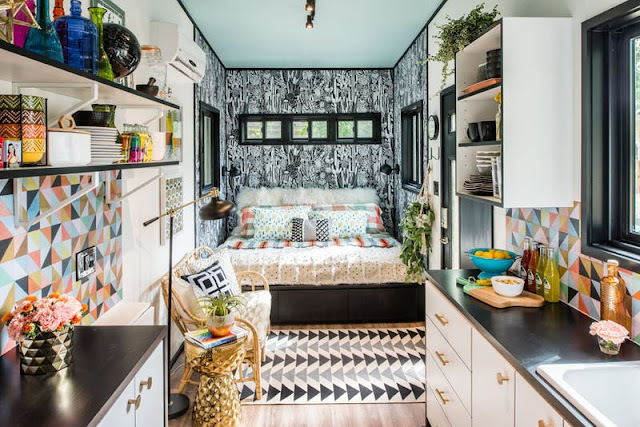 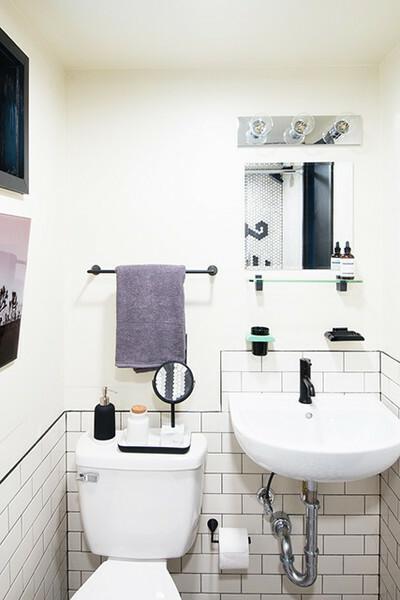 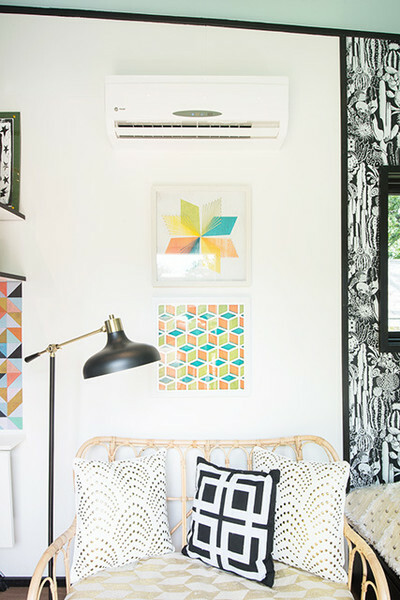 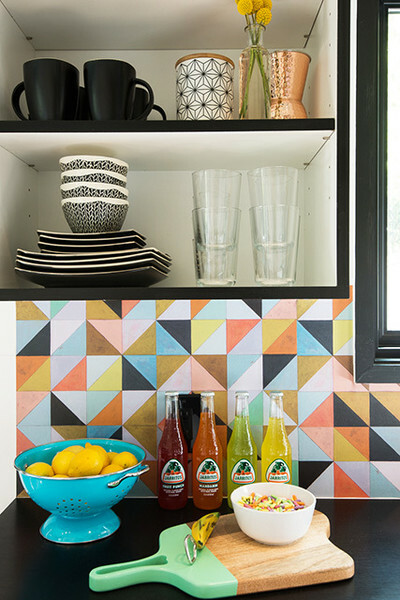 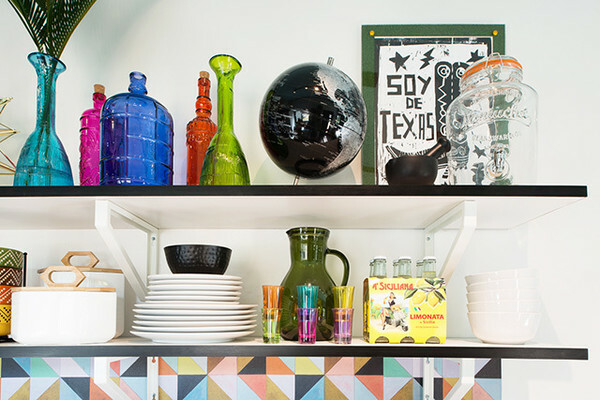 Nicknamed "Lonny", the home's 190-sq-ft interior features a vibrant design using bold patterns and bright colors. 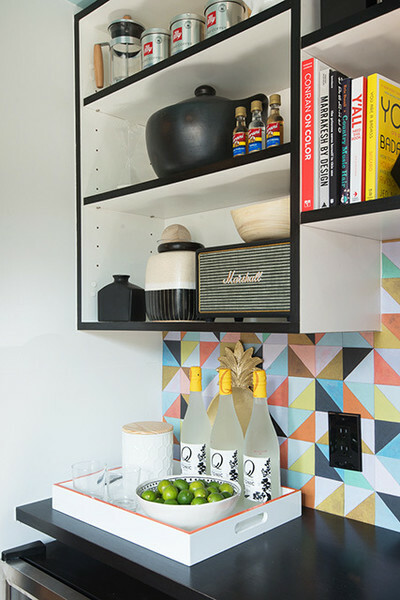 The galley kitchen features a mini-fridge, ample counter space, cabinets, and open shelving. 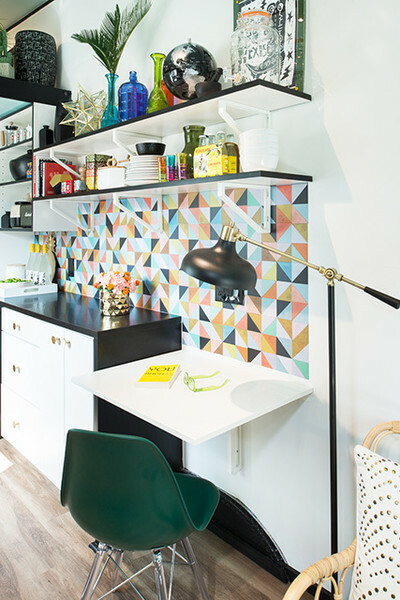 There's also a folding table that's perfect for use as a dining table or workspace. 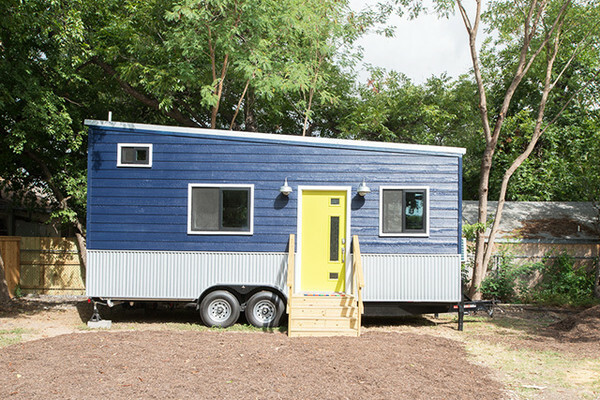 Two bedrooms are available; one on the ground floor, and another in the loft area of the home!